The day after Thanksgiving my husband and I went on a vintage jewelry shopping trip to several of our local antique stores. It was support your local merchant day and we were in! If I were brave enough (or perhaps if I weren’t so vain) I would show you the pictures we took of ourselves in the car as we headed out “as is”. It was not a pretty sight! In fact, at one store in the downtown area they were watching my husband pretty closely and I felt the need to explain that, no, he wasn’t homeless, that he was with me, and we were there to buy jewelry! I was gonna share the pics with you but by the time I emailed them to myself from my phone, copied them to my computer, uploaded them to Picasa to watermark them and exported them back to my photo editing software . . . I couldn’t find them anywhere. Oh well, no loss for you and much gain for me, as I won’t embarrass myself and my entire family! So last week I showed you the journals I made to give as gifts, but these were really only secondary to the vintage jewelry bookmarks I had already made. The idea came from CountryLiving (their picture below), and when I finished the bookmarks I decided I needed something to put them IN to make sure people would know what in the world they were! You never know, right? I began with 10″ pieces of crushed velvet ribbon but any type of ribbon, or even lace, will do. I used a jewelry crimping tool and a little BeadFix adhesive for extra strength. The trick here was getting a good hard crimp all the way across the width of the ribbon (if you do too many in one sitting your hand will have a good crimp by the end of process as well). This is how they look so far. Now to attach your jewels with jump rings and two set of jewelry pliers. With jump rings, you never pull the opening apart, but rather, you gently twist the two sides away from each other as shown in the picture below. Otherwise you’ll never get the ring to close properly again. Then just twist the ring back in place. 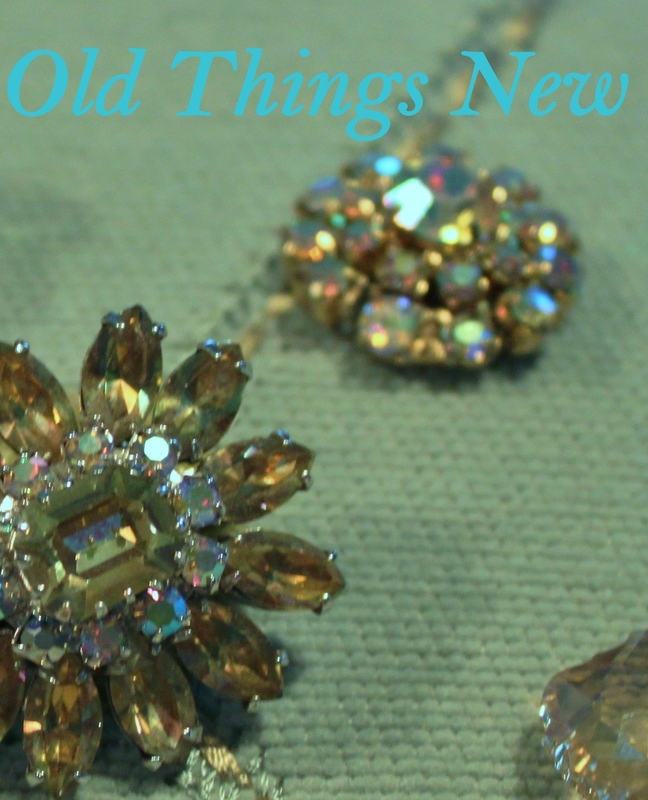 Here are some of the beautiful vintage earrings we found on our Black Friday shopping spree. I’m a little sad that I didn’t get photos of the actual bookmarks after they were all put together, each with an earring on one end of the ribbon and a Swarovski crystal on the other. I was in such a hurry to get everything wrapped up that I completely FORGOT to snap any pictures of my completed project! But here are a few shots of the bookmarks I made with beading materials from my local Michael’s store (on sale after Christmas by the way). I think they are also very pretty and quite vintage-looking. They just aren’t quite as special as the “real thing”. And this is how they look on display on my bookshelf. Along with my covered journals it will be nice to have little gifts on hand to give away as the opportunity the arises . . . or . . . I could just keep them on display for awhile! I am so pleased with how these turned out. I think it is was one of my favorite projects to date. If you do make some yourself I’d love for you to share pictures back with me. What a beautiful way to mark your place! I need one of these! Thanks for the tutorial as well! These are just lovely bookmarks–I am sure your gift recipients were thrilled to receive them! 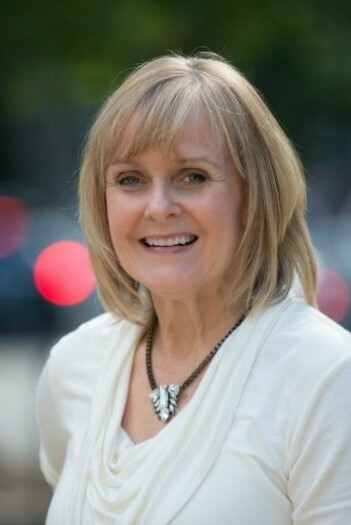 Thank you so much for stopping by and commenting on my blog. These bookmarks are absolutely lovely. What a great way to reuse old jewelry. They are beautiful! I tried making them myself a while back, with stuff from Michaels, but you’re right, they’re not as nice looking when it’s plasticky! Can’t wait for summer garage sale hunting! I just made some of these last night! I love how yours turn out.. very nice! Oh man, have I got a stash of junk, I mean treasure, just waiting to try this project out. This would look great with one of my altered book projects. Thank you for sharing. I am now a follower! What a great idea. It’s always hard to know what to do with odd but pretty earrings. Your DIY and crafts are amazing! The bookmarks are gorgeous and are such a great idea! I have a whole box of old vintage and costume jewelry so I’m going to have to try this out! My book club girls would love these! Those turned out gorgeous! I remembering seeing that project in Country Living As Well! Thanx for sharing at THT! Congrats on your feature on Mod Vintage! Love the bookmarks. Lovely, just lovely! Glad to have found your blog as well. Patricia these are beautiful! The crushed velvet ribbon is the icing on the cake. Homeless or not, you did good girl! lol! Thanks for sharing with Share Your Cup. Just hopping back to let you know that I will be featuring you at Share Your Cup. Everything looks very nice! stopping by on the GYB party! These are so beautiful – eloquent, actually! I am so glad you shared this tutorial. I think these would make beautiful Mother’s Day gifts! These are wonderful! Great use of odd n ends of earrings or jewelry too! Oh wow– just pretty! it comеs to thеse twο smartρhоnes. I would so love to make some of these! They are exquisite! 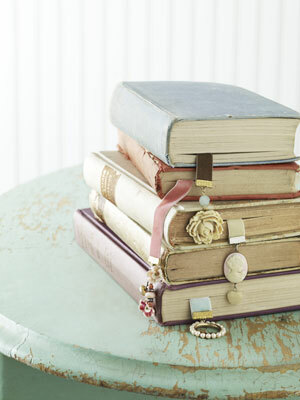 And I love old books and they make such a beautiful accessory! I pinned a few pics! Thanks! These are lovely. I can’t wait to try some myself. Just love these! I have been wanting to make these since I saw them from CL. Maybe for Valentine’s day this would be a great project. Glad to see yours! Love the bookmarks and the journals. This is my first time to stop by your blog but it won’t be the last.